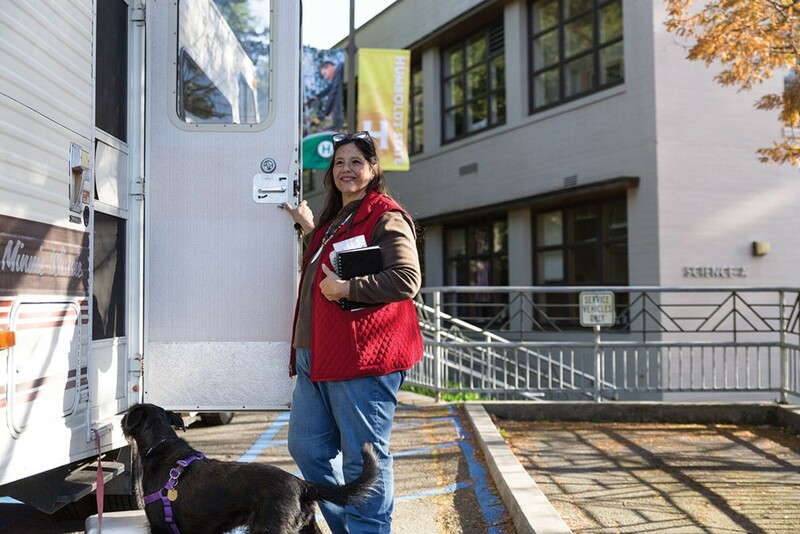 After spending almost a year living out of her car in a McKinleyville parking lot, Dee Carfagna, a 61-year-old art student, used her financial aid money to purchase an RV. Squeezed into one room at the Eureka Econo Lodge with her partner, baby and two dogs was the last place Chante Marie Catt thought she would be living when she moved to Humboldt County from Redding to finish her education. "I feel like I failed my family," said the 37-year-old Humboldt State University sociology major. "I dragged them out here for this schooling thing, and now we don't have a home. Paying nightly for a place to stay left Catt low on money. "We've spent about $3,500 of our federal loans," Catt said, estimating that being homeless costs her family $200 a day. "I am so angry that I am going to pay interest on being homeless." Before landing at the Econo Lodge, the family camped near Samoa beach. With all the moving around, Catt said she feared for the safety of her family. While she once thought she would never be able to afford college, she never imagined housing would be the bank-breaker. "I am doing this to try to make my family progress," Catt said. "And here I brought them down like 15 steps." When Catt arrived in Arcata on Aug. 2 to attend HSU, she didn't realize it would take her more than two months to find stable housing. She was soon shocked to discover how many other students faced the same problem. While there's no official data on the issue, it's clear housing insecurity is a problem for many students. During 2016's fall term, HSU housed just over 2,000 students on campus. Another 1,200 students are locals. That left an additional 5,200 students to find off-campus housing — a number roughly equivalent to 9 percent of the combined populations of Arcata, McKinleyville and Eureka. 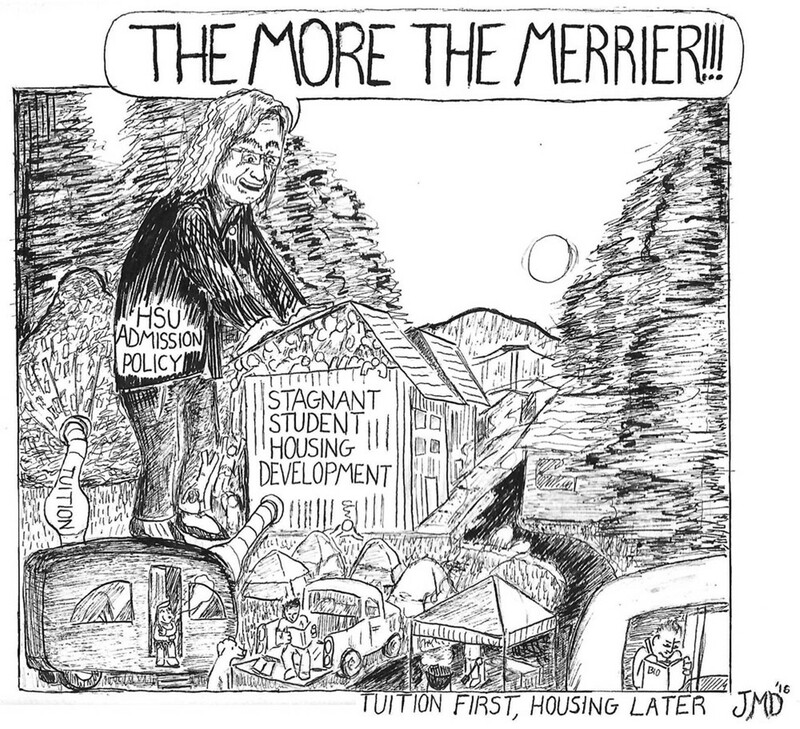 According to the 2014 Housing Element of the Arcata General Plan, one out of every five Arcata residents attends HSU. And consider this: According to the 2010 U.S. Census, Arcata has 7,722 housing units within city limits, 34 percent of which are owner occupied. That leaves 5,097 rental units to house those 5,200 students, along with anyone else who wants to live in the city. And the reverberations of this housing crunch extend well beyond campus, as it drives up prices, pushes nonstudents out of the market and compromises students' taxpayer-subsidized educations and, ultimately, even their earning potential. For this story, a class of journalism students interviewed 60 students who lived off-campus, finding them through no particular system. In that group, we found 12 students — 20 percent — who were living out of their cars, in campsites or motels and crashing on friends' couches or floors. This year, the university paid outside consultant Brailsford and Dunlavey $92,050 for a study to measure the need for additional student housing. The study will help the university determine how much new housing is needed, what the pricing for additional housing will be and what level of connection the university should have with private development projects. It is the first step in the process of constructing new on-campus housing. But regardless of the study's findings, school officials say funds for new housing are unlikely to materialize any time soon, meaning scores of students like Catt will have to continue to scramble. The last new dorms HSU built were the College Creek apartments in 2011, which house 430 students. 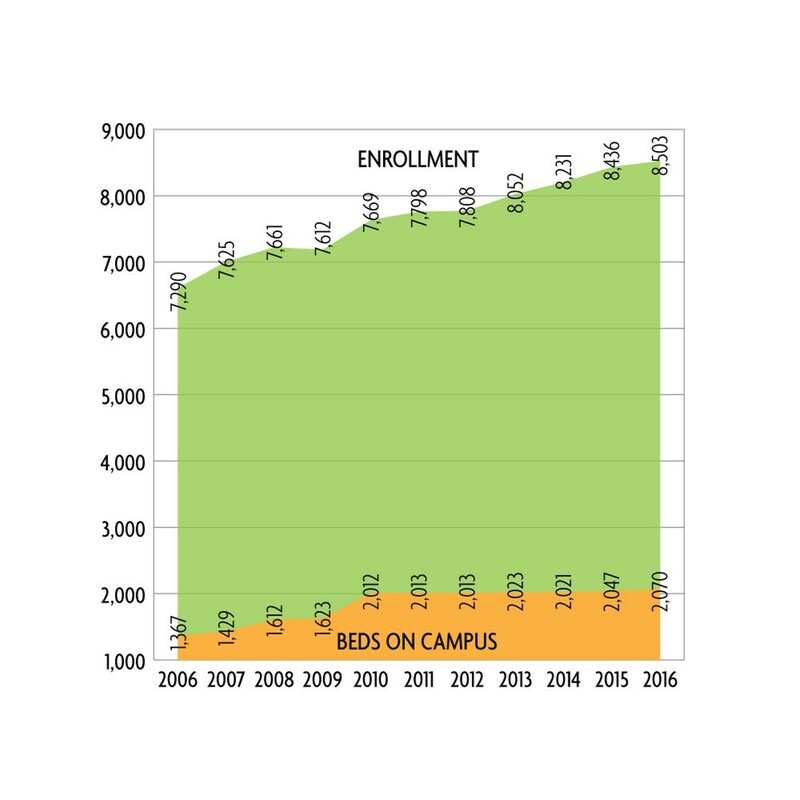 But new construction hasn't kept pace with enrollment, which is up 14 percent from a decade ago, when 7,460 attended HSU compared to the slightly more than 8,500 students on campus today. There were actually supposed to be several hundred more students attending HSU this year but the university failed to meet its recruitment goals, in part because the University of California system pushed to enroll more in-state students. Elizabeth Chapin, a spokesperson for the California State University system, which sets enrollment goals for the system's 23 campuses, said a housing shortage in Humboldt County won't influence enrollment decisions. "Enrollment is determined based on how many students a campus can accommodate," she said, "not on local housing markets." The amount of available housing in Arcata has not kept up with growing demand. Realtor Charles McCann, with Community Realty in Eureka, has been tracking home sales in Humboldt County for the past few decades. Over the last six years, no new traditionally developed single family homes have been built in the city of Arcata. Multi-family developments have not fared much better, with only a few projects built within city limits in the same time frame. "There's not a lot of ground to build on," McCann said. The volume of property sales in the county has been rising by about 7.9 percent annually since 2010. "There's an overabundance of buyers," he said. "Even though the inventory is low on paper, it's because it's a seller's market and buyers buy quickly." But high rents don't seem to be the biggest barrier for students, many of whom said they sought housing off campus because it is more affordable than living in the campus dorms. To live on campus next year, according to the HSU website, students will have to pay a minimum of $645 a month. That will get them a bed in a double room in the Campus Apartments, which has access to kitchens. A single room in the College Creek Apartments, which also have kitchens, will cost $840. A meal plan costs extra. But in general, it's not the high cost of rent but lack of available units and the documentation landlords and property management companies require that present the biggest barriers. Students must provide credit histories, proof of monthly income that equals three times their rent or higher and a parent to cosign. And if they can meet that, they often must pony up large security deposits. In a shared house, some landlords require every student to be on the same lease. If one leaves, that can force the others out. There is a lag time in getting security deposits back but new landlords will require a deposit right away, putting students with no savings in a tough spot. And HSU doesn't have anyone specifically tasked with helping students through the process, as the university has no one whose job it is to advocate for students living off campus. But homeless students and a lack of housing aren't unique to HSU — they are a CSU systemwide problem. In February of 2015, Chancellor Timothy White ordered a study to measure how well CSU campuses met the food and housing needs of students. It found that about one in 10 CSU students were homeless at some point during their college career. James Figlioli had a good credit score and enough money to cover rent. But he couldn't prove he had income that was three times his rent, so the transfer student from Santa Barbara found himself living out of his car. Because he had no place to cook, he ate out and meals cost him so much money that he found himself broke and hungry. One day, he stole food from a grocery store. "Living out of a car is actually really expensive," he said. Dee Carfagna, a 61-year-old HSU art student, said she applied to 16 different houses over the last year. Fifteen denied her because of her service dog, Cherrrie, and the other because of her disabilities, she said. Left with few choices, Carfagna lived in a hotel and, when she ran out of money, she slept in her car outside of the K-Mart in McKinleyville for almost a year. Carfagna has had problems with her health and thinks living out of a car has taken a toll on her. A little more than a year ago, Carfagna was diagnosed with stage 4 liver failure and fellow art students created a GoFundMe page to raise money for a liver transplant. 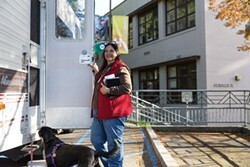 Tired and drained from living in a small Prius, Carfagna used her financial aid money to purchase an RV in June. "The RV has actually saved my life," she said. However, the RV is far from the ideal place to live. Its heating broke and Carfagna has not been able to find someone to fix it. "I may have to go somewhere warmer," she said. But finding housing for students like Carfagna, Figlioli and Catt is difficult in a stretched market. Darus K. Trutna is a former HSU student who recently took over Professional Property Management of Eureka, where he was born and raised. He wants to help students get housing but he said property management is a business and there is no way of getting around what landlords will require. Often students do need to prove income, have good credit and a rental history. If they don't, they need a co-signer. These can be high barriers for students who come from out of the area. Vanessa Cota, a member of HSU's Associated Students, said summers are also hard because many students want to return to their hometowns but landlords and property management companies require that they physically be here to turn in applications and check out houses. "I was working and my other friends were working and we didn't have a car," Cota said. They were unable to look at houses in person and could not find anyone to turn in applications for them. 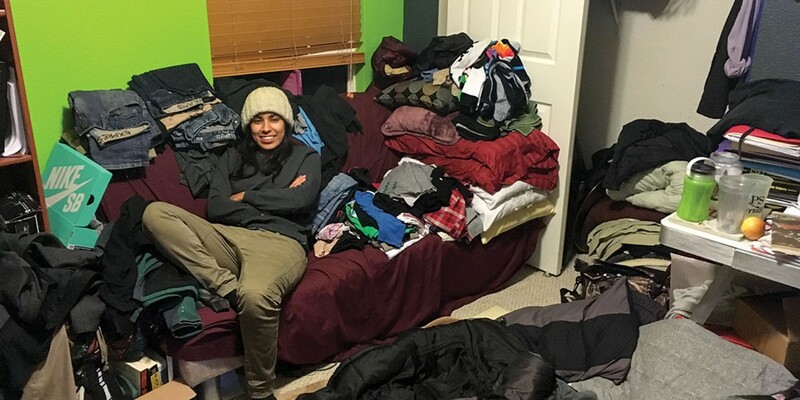 She wound up couch surfing for three months. In Humboldt County, the university's unmet housing needs aggravate a more widespread crisis in the surrounding city and county. Arcata Mayor Paul Pitino said there is simply not enough affordable housing to go around. "If you ever try to rent somewhere in town here, it's real difficult because the university is here," he said. "You have a whole population that has to live here because they have registered." The shortage of housing doesn't just impact students. When HSU hired criminology instructor Michael Abell on short notice to fill in for a professor taking the semester off, he couldn't find a place to live. He arrived in Humboldt County 10 days before classes started. "Playing the faculty card didn't play in my favor," Abell said. "Only one person talked to me in six weeks trying to find a place." He made countless calls and sent emails to various classified posts for rental listings, but not a single person had reached out. 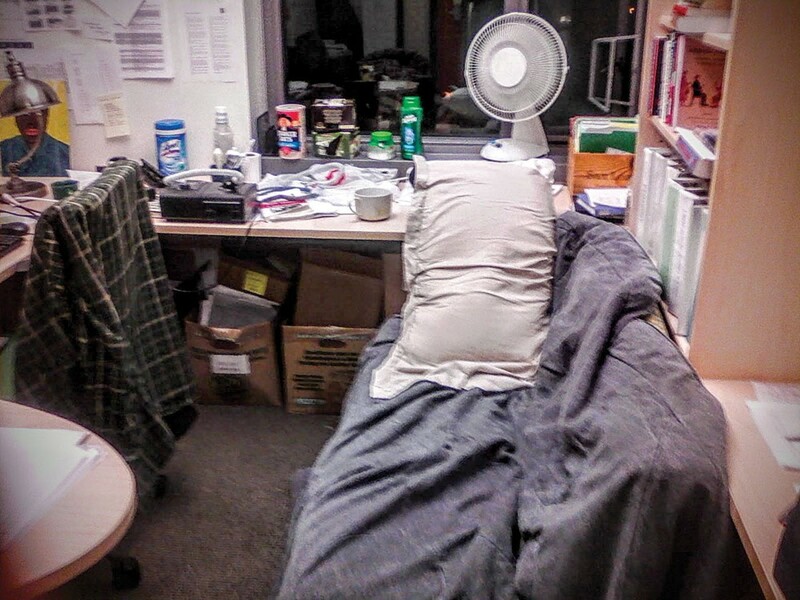 Disconcerted, Abell moved into his office on campus and lived there for more than two weeks. He found showers in the building, ate out of a refrigerator in a break room and borrowed a cushion from a couch for bedding. "The office was easier," he said. "Everything was right there. I was worried campus police would boot me out of here and the [Sociology] department was concerned." Eventually Abell was kicked out of the office, and stayed at the Motel 6 in Arcata for a month before he found an apartment in McKinleyville. The housing shortage also affects people with no connection to HSU. Take Glenn Lianoz, a 21-year-old Eureka native. "I got out of the Army and came back to Eureka hoping to find a place easily enough," Lianoz said. "I work 40 to 55 hours a week, nights and days, just to sleep on my friends' couches for six months. My roommate and I made well over three times the rent, but it was the rental history requirements, credit and co-signer situation that killed us." Lianoz now lives in a home off Broadway with friends from his high school class. "The housing situation in Humboldt isn't a student-only problem, it's the product of a system that excludes poorer people or people without rental and credit histories in general," Lianoz said. The university is the town's economic driver, Pitino said. At about half the size of the city population, it's the biggest employer in Arcata. "The students don't necessarily have a lot of money but they spend everything they have here for rent, for food and everything," he said. "So we have that extra income from students. It's important. I mean how many places would have this many coffee shops and restaurants as this town?" HSU Economics professor Erick Eschker directs the Humboldt Economic Index, which measures the economic health of the county. He said that the county's inability to house HSU students will affect the wider economy. "One of the costs is the lack of potential for the economy," Eschker said. "If you're couch surfing, living in your car, camping at the park, physically you're not gonna' be able to study as much. So it's gonna' affect your studies, your grades, the amount of courses you complete." These are people who have the potential to earn income and be productive, Eshker said, but they won't be able to do that if their college careers are derailed. That's what Chante Catt feared. 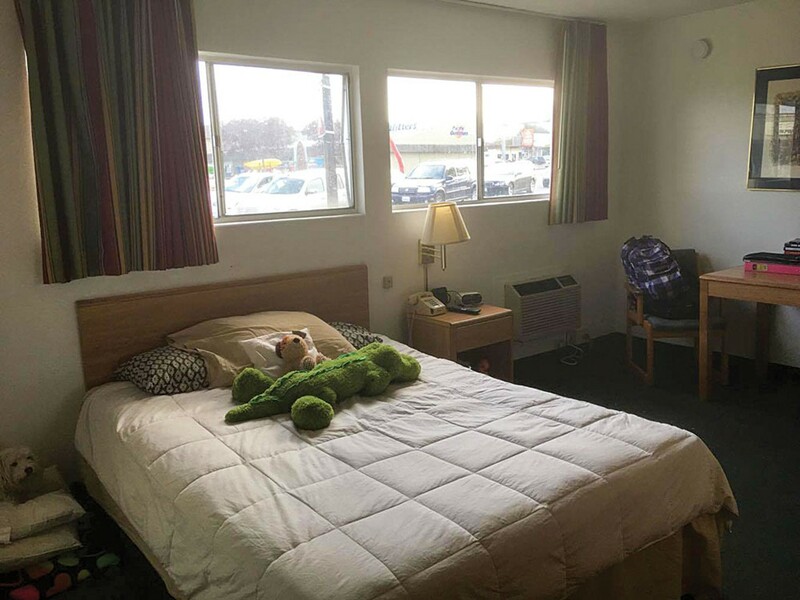 She moved her family into the Econo Lodge, in part, because she had a hard time focusing during classes while worrying about the belongings she and her family left locked in their tent. Her husband, a military veteran, had his own classes to attend at College of the Redwoods. Kaitlyn Hernandez fears it will derail her education as well. This was supposed to be her last term but she's spent the semester sharing the floor of a friend's music room with her boyfriend, their one suitcase and two-person sleeping bag vying for space with their host's instruments. They stayed at a friend's house last year, but were asked to leave in May. Hernandez, a wildlife major, spent more than $200 on application fees and applied to nearly 20 places without any luck. "I didn't think that this would happen," Hernandez said. "I'm really behind in my classes. I can't focus. While I'm doing my homework, I think about how I should be looking for a place and, even when I look, there's nothing." She used to be a good student. "I used to just stay up late doing assignments because I had my own desk or we would have friends over and have study parties," Hernandez said. "It was a more comfortable setting." Peg Blake, vice president of enrollment management and student affairs at HSU, acknowledges the problem. "We must do more," she said. Blake said HSU lacks a parent and family support program that some other campuses have. These programs work directly with students to help with off campus housing problems. Blake would like to start one, but she currently lacks the funding. AMCAL Multi-Housing Inc., a Los Angeles-based developer of affordable and student housing, hopes to meet Arcata's pent-up demand. In May, it submitted plans to the city's planning commission for The Village — four buildings to house 800 students in 240 units at a cost of around $55 million. It would take between 18 and 24 months to construct. But the project will require the approval of the city of Arcata and cooperation from HSU and, at least for now, none of the parties seems to be talking to each other. Pitino likened the relationship between the city and school to that of two corporations. "HSU is one of the 23 campuses, pieces of the corporation of CSU, and we're a small little incorporated city," he said. "We are not connected to Humboldt, really, in any way legally. ... It's a state university. They have their property and we have ours." He said there should be a joint commission, "a group that could determine our common goal," he said. Construction of The Village, if it gets approved, won't help students like John Chase, who wakes up every morning on an old brown leather couch in the living room of a friend's two-bedroom apartment. For that, he pays $200 in cash every month. That's an upgrade for Chase. When the 21-year-old environmental resource engineering major came up from Sonora, having transferred from Columbia College, he spent the first week of the term living in his Subaru Outback in HSU's main parking lot, across from the South Campus Marketplace, and the rest of the month bouncing around hotel parking lots in Arcata. "This housing thing is so screwed up," Chase said. "The stress of not knowing where you're going to sleep is really hard." Ending up living on a couch shocked Chase because he had enough money to pay $450 a month in rent and could provide a co-signer. After this term, Chase said he may give up and leave Humboldt State. Catt is trying to organize homeless students like Figlioli, Chase and Hernandez into a political force. Her Homeless Student Alliance first met Sept. 30. Catt has been down this road before. When she was 15, she found herself homeless for about eight months and organized homeless teens in her area, ultimately receiving the mayor's award in Santa Clarita in 1995 for her advocacy work in opening a homeless shelter. Her efforts in Humboldt have produced a different reaction. When she posted a Craigslist ad asking students to share their experiences searching for housing, she received a mountain of hate mail from members of the community angered by her efforts to work specifically on student homelessness, not the homeless problem in general. One described homeless students as "typical lefty crybabies" and told them to "get off the self-entitlement gravy train." 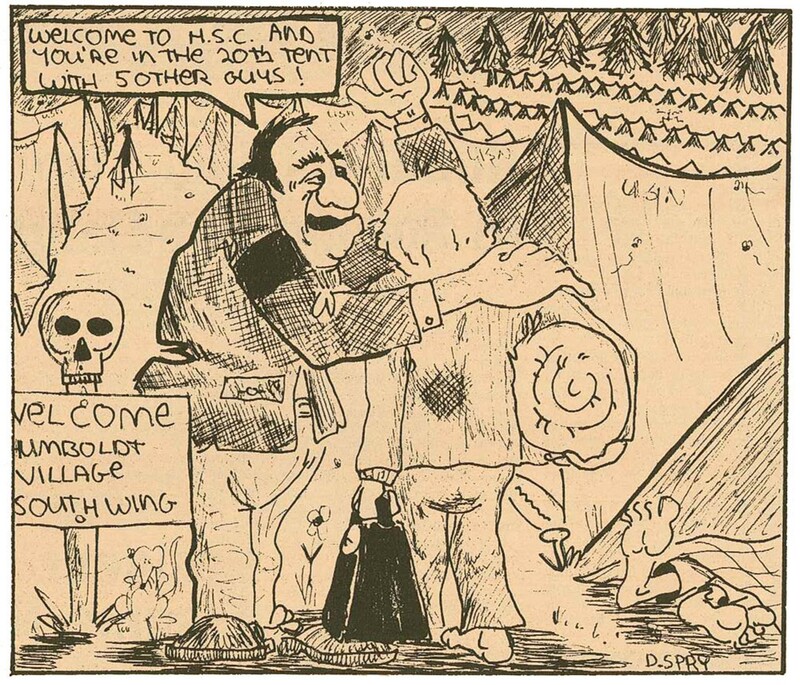 The housing shortage at HSU also seems to be a replay of the past. Back in August of 1967, Humboldt State College housing administrator William Kingston pleaded for community help to house 100 students who had been turned away from on-campus housing. A year later, the school built the Jolly Giant Complex to house 874 students, yet the school reported that it still had a long waiting list for on-campus housing even after all those rooms had been filled. And in 1975, Kingston told the community that campus residences were full and there was a "critical need" for off-campus housing. Blake thinks that the building of new housing by private developers might ease the student housing crisis. "Maybe we can grow our way out of this," she said. Most available land in Arcata is zoned either agriculturally or industrially, as is the case with the Village. For new off-campus student housing to be built, the city will have to rezone it for residential buildings, which would require significant planning and collaboration with the school. "We've had nearly 20 years of relatively sparse contact and collaboration between HSU and the city of Arcata in terms of addressing the housing needs and students," said Judith Mayer, an environmental planning professor at HSU and a member of the Arcata Planning Commission. The city and university need to collaborate on a shared plan for student housing in order to solve the issue, but that has not been happening, she said. Alyson Hunter, senior planner for the city of Arcata, said the city doesn't prioritize student housing. "We view the need for housing infrastructure holistically, in that the city doesn't prioritize for one group or another," Hunter said. HSU has tried to buy up existing housing for students. It spent about $1 million to purchase three houses near campus: one in 2003, another in 2005 and a third in 2015. It is now negotiating to buy a fourth on LK Wood, but it is already occupied by students. Traci Ferdolage, HSU director of facilities management, said the school is currently in negotiations to buy a house on Granite Avenue near campus. She said once HSU has purchased the house, it will hire an outside property manager. University Advancement President Craig Wruck said these purchased properties fall in line with HSU's master plan. However, he said, the master plan is outdated and the school stopped going after purchasing houses due to lack of funding. "We know that housing is a need," Wruck said. "The problem is finding the money." Wruck said new residence halls would cost millions of dollars and, as HSU likely won't have that kind of money, there are currently no plans to significantly expand student housing. Buying a few houses may put a few students in beds, however curbing the tide of student homelessness would require a larger endeavor, like AMCAL's The Village. AMCAL has some experience in the area of student housing. In 2015, AMCAL and investment company Coleraine Capital Group Inc. of Monterey built The Promontory, a student housing project for Cal State Monterey Bay. The project took approximately a year and more than $40 million to build. Cal State Monterey then bought the development in September of this year for $68.5 million. Coleraine President David Moon first proposed the project to the school in the early 2010s, after he had trouble finding housing for his own child, who was a student. "My interest started as a parent and as a consumer," Moon said. "There's so little housing provided on campus by the Cal State schools, and that's how I became interested in student housing." The Promontory became the most expensive student housing option available to students at $5,398 per semester for a single and $3,941 for a double, not including meal plans. That's equal to almost $500 a month for a shared room. But building more student housing may not solve the bigger problem, said Graham Pickren, a professor of sustainability studies at Roosevelt University in Chicago. New housing set aside for students in Humboldt County could push out local residents. That's what happened at the University of Georgia in Athens, where restrictive land use policies and good intentions led the students of University of Georgia to push out their lower-income neighbors. The city wanted to protect Athen's greenbelt, an area around the city where development is restricted, so officials insisted that all development occur near the city center and university. The property near the university then became more valuable, resulting in a gentrification of the neighborhood — a process Pickren dubs "studentification." On Oct. 11, 70 days after arriving in Humboldt County, Chante Catt moved her family into a three-bedroom place in Fortuna near the high school. It has no yard but the inside was just renovated. "This place reminds me of my first apartment in L.A. in the old army barracks," she said. It was the same apartment she had applied for through Professional Property Management three months earlier. When she physically went to the management company's office to complain, she was told that it had lost her application. She now pays $1,300 a month in rent, including utilities. 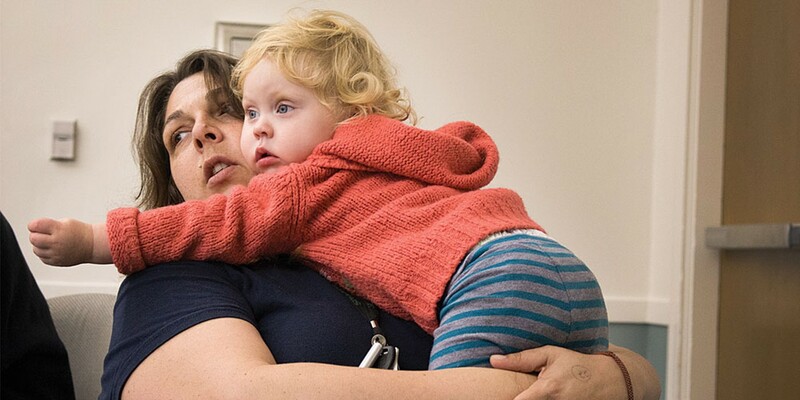 Things only changed for her when a social worker helped her out. "We got approved for a housing action program and they stepped in as like a liaison ... with the property management companies," she said. Once housed, she enrolled her daughter in swimming class and focused on making up missed assignments, working toward her sociology degree. She also registered the HSU Homeless Student Advocate Alliance as a campus club. "The main thing is that we just need to first be aware and acknowledge the housing problem," she said. "Seventy percent of students transferring do not even have an idea that housing is a problem." HSU Investigative Reporting students Sam Armanino, Alexander Badger, Andrew Butler, Brian Cohen, Jessica Ernst, Sarah Fasi, Jonathan Gomez, Ashley Groze, Caitlyn Kaifer, Jen Kelly, Christian Lara, Roxana Moreno, Geneva Peppars, Vanessa Rodriguez and Esther Trevizo contributed to this report. The class also wrote a companion piece on the quality of off-campus student housing, which can be found in the Dec. 7 edition of the HSU newspaper The Lumberjack.